The origin of Le Logis de la Bouchardière dates back to 1850. 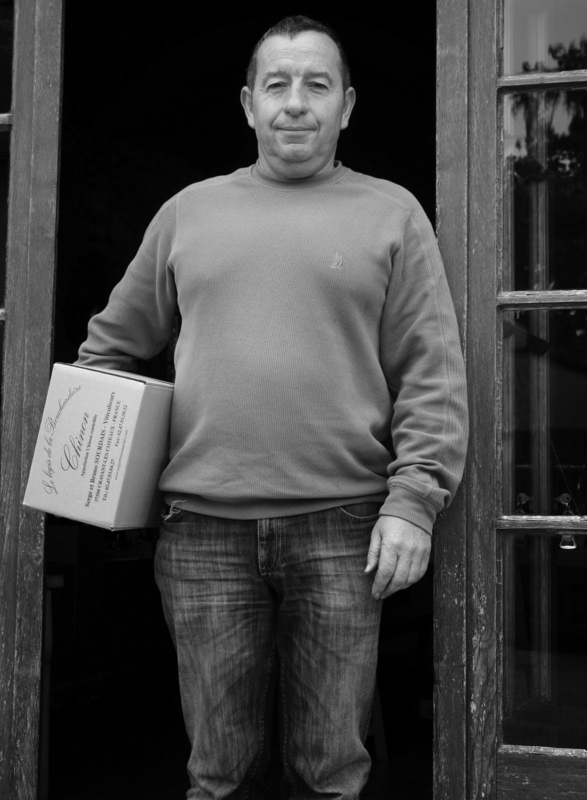 The current incumbent is Bruno Sourdais who represents the 6th generation on the domaine. Bruno joined his late father, Serge, in 1990, taking control from the 2008 vintage. Three-quarters of the domaines 55 hectares are located on the coteau above the communes of Cravant, Chinon and Panzoult, although the family only own 16 hectares of these outright. There is no Chenin planted. Winemaking is very traditional in that everything passes through wood at some stage in its élevage, with the more serious wines receiving between 12 and 15 months in barrel. The rosé tends to sell out in the spring following the vintage and is obtained from either a saignée or a 24 hour cold maceration. There are five separate red wines, three of which are parcel specific. After a short period in older oak, the wine is bottled in the spring following the harvest. Le Clos is a six hectare parcel of 35 to 45 year old vines on the well-drained flinty soils on a slope above Cravant, whilst La Logis de la Bouchardière forms the basis of the domaine’s production and comes from 30 year old vineyards. Le Chêne Vert is a name well known to lovers of Chinon, although few realise that Domaine Charles Joguet shares one hectare with another vigneron. At 35 years, the vines are younger than those of Joguet and the exposure also different; an 18% slope which faces south-west. The vines are rented from Bruno’s father-in-law and the resulting wines are raised for one year in barriques. Les Cornuelles Vieilles Vignes is from 2.5 hectares on a south-facing slope; the name derived from the pieces of flat limestone found within the parcel. The vines here were planted in two separate stages; the youngest were planted by Bruno’s grandfather and are now 60 years old, but the oldest vines are over 100 years. Somewhat suspicious and guarded, Bruno Sourdais gives little away, but his wines, thankfully, speak for him. Stuck away up a side valley at the top of Cravant, one feels that he relishes a degree of relative anonymity, although he certainly deserves to be better know.